This article article covers the Web Tracking settings along with the process for creating an account. 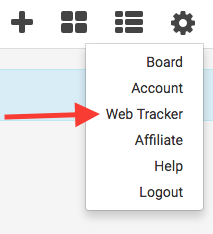 To begin, click on the gear icon and go down to Web Tracker. Then click the plus button under the Accounts section. Name your account and check the box to Automatically set the lead source on contacts. 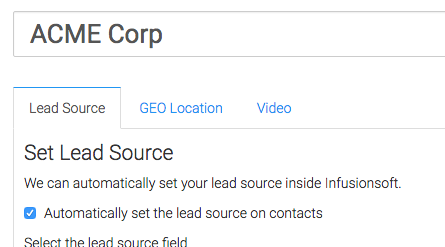 Select where you want your lead sources stored and also set the Lead Source Rules. Now navigate to the GEO Location tab. If you want to set empty address fields with data based on the contacts IP address, check the box here. 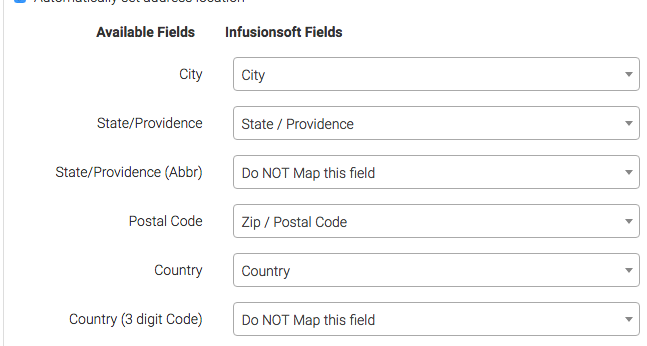 Go ahead and fill in the appropriate Infusionsoft fields on the right. When you're done with that click on the create web tracking account button at the bottom. The next step is to copy the tracking code and paste it into your site. Hover over your new account and click on the View Script icon. Highlight and copy this script. You will need to paste it between the head tags of your website. Look up other videos and articles to see how this is done for different platforms. If for any reason you need to deactivate an account, hover over it and click on the the toggle button to deactivate it. If you need to delete an account hover over it and click on the trash can. After that click on the check mark. You also have the option to activate or deactivate the setting of the lead source or geo location. You can do this with their respective toggles.